We enjoy reading the stories of Pibbin the Frog by Gloria Repp. Pibbin is a very brave frog who helps those in need even when things are dangerous and he doesn’t feel all that brave. Each story is different, incorporating a variety of characters from and around Friendship Bog but his best friend is Leeper, a tree frog. These chapter books are great for ages 6-12 depending on your child. 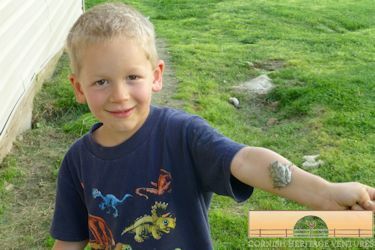 Caleb was all excited the other night when he found a tree frog. This is the first one we have ever seen here in the wild. 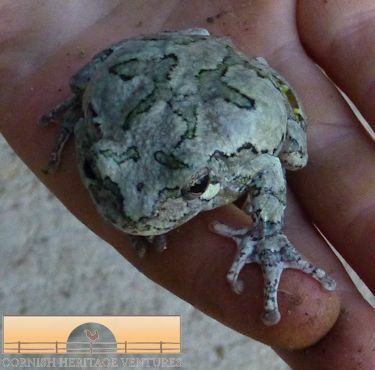 We looked it up and it was a Missouri Gray Tree Frog. Fascinating to see its ‘sticky’ pads. A great science lesson. Of course Caleb let him go once he had finished playing with him. Hope your spring is going well. We are taking a lot of field trips and enjoying the weather before it gets too hot. You can read more about them here. This entry was posted on Monday, April 20th, 2015 at 8:48 pm	and is filed under Books. You can follow any responses to this entry through the RSS 2.0 feed. You can leave a response, or trackback from your own site.